Swing Catalyst offers a comprehensive and powerful video analysis software that has been praised by coaches aroundthe world for its user friendliness. 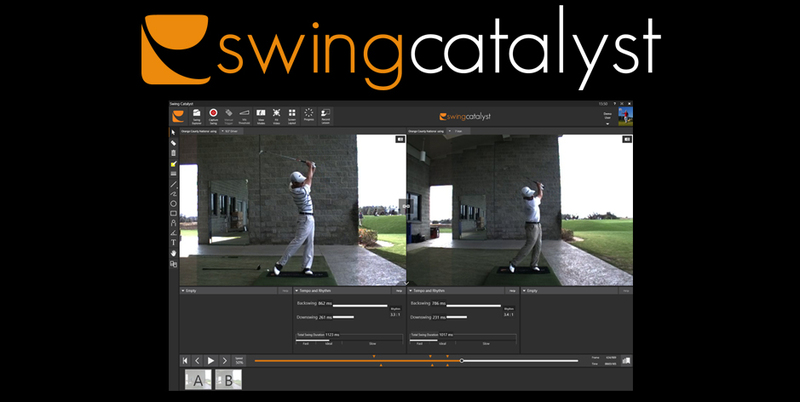 Swing Catalyst offers a comprehensive and powerful video analysis software that has been praised by coaches aroundthe world for its user friendliness.The software allows you to stream live video images from a range of cameras, including high-speed cameras that provide up to 500 frames per second. The video analysis suite is equipped with all imaginable drawing tools, slow motion playback, video overlay and side by side comparison. The high-speed USB cameras are highly portable and very easy to set up and use. The USB 2.0 and the USB 3.0 camera offers 100 frames per second and produces high-quality color images. The USB 2.0 camera can only be used one at a time. If you wish to use more than one USB camera, please select the USB 3.0 camera. They are both better suited for outdoor- than indoor use as they requires more lighting. The FREE Swing Catalyst app , already used by many of the best players and coaches in the world, is a sophisticated game improvement tool that fits right into your pocket. The app allows you to capture and analyze swings from anywhere. You can also compare your swing to tour professionals, and share the swings with your instructor or others directly from the app. The app is fully integrated with the Swing Catalyst software. The Swing Catalyst App, the Swing Catalyst Online portal and the Swing Catalyst video analysis software make up mthe ecosystem that connects the golfer to the instructor. Instructors are now able to communicate directly with their students, while students can record their own swings and get a detailed swing analysis directly from the instructor. The Swing Catalyst Products can be tried out in our private showroom, Shane Wilding Golf Centers which is located at Mille Malle, 3rd Floor, Sukhumvit 20, Bangkok. For more information please contact us by calling +66 2 672 5241 or by sending an email to info@sw.golf.